Product Picture links to Learn More - All Stop Poison Ivy Healing Gel quiets the burning and relieves the itch from Poison Ivy, Poison oak and Poison Sumac while helping heal the skin damage. Specialized surfactant base washes skin and removes urushiol without abrasives that can cause skin damage in serious outbreaks. Product Picture links to Learn More - All Stop Poison Ivy Healing gel that quiets the burning and relieves the itch from Poison Ivy, Poison oak and Poison Sumac while helping heal the skin damage. Specialized antiseptic surfactant base washes skin and removes urushiol without abrasives from skin damage in serious outbreaks. Click on the Product Picture to Learn More - Our Complete Poison Ivy Treatment Kit comes with a Poison Ivy Scrub/Citrus Skin Exfoliator to remove the urushiol oil from your skin and pores and also comes with the Medicated Healing gel that stops the burning and relieves the itch from Poison Ivy, Poison oak and Poison Sumac while helping heal the skin damage. Specialized surfactant base antiseptic gel will sanitize your skin while healing the itchy rash and open sores that can cause skin damage and scaring from serious outbreaks. Understand your own body is attacking the urushiol allergen that gets into your skin. This is causing the itch and outbreaks. The better your immune system is working the stronger the outbreaks. Our double action gel is effective by calming your body's reaction to the urushiol and healing your skin. 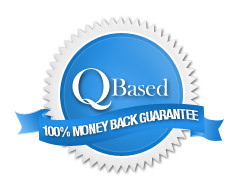 We guarantee 100% you will be satisfied or your money back. You can't lose. Click on the Product Picture to Learn More - Medicated Healing gel that quiets the burning and relieves the itch from Poison Ivy, Poison oak and Poison Sumac while helping heal the skin damage. Specialized surfactant base washes skin and removes urushiol without abrasives that can cause skin damage in serious outbreaks. Poison Ivy Products are priced comparable to other treatment products. How Do Our Poison Ivy Products Work? All Stop Poison Ivy, Oak & Sumac Healing Gel, a unique blend of quaternary ammonium compounds, is a topical skin treatment specifically designed to penetrate the skin and chemically bond with Urushiol. This neutralizes the urushiol and stops the allergic reaction in its tracks. All Stop Citris Skin Exfoliator gently scrubs away all trace of urushiol on and in your skin. You'll begin to feel results within minutes! All Stop Poison Ivy, Oak & Sumac Healing Gel is easy to use and it's safe! ONLY All Stop Poison Ivy, Oak & Sumac Healing Gel penetrates deep enough to attack the irritation where it starts.